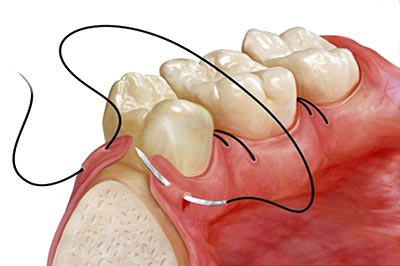 Periodontal is a plastic dental surgery which is used to regenerate and restore normal form and function to the lost and damaged periodontal structures that support the teeth. It should be understood that periodontal surgery is not a cure but rather an adjunct to make long-term treatment favorable. There is a possibility for the reoccurrence of periodontal disease in susceptible individuals. The main aim of periodontal surgery is to increase the life expectancy of the teeth.